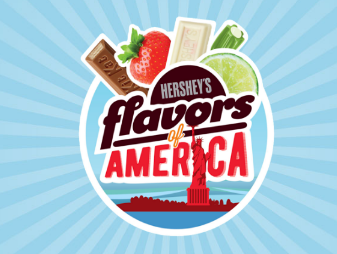 Hershey’s Flavors of America Sweepstakes & IWG – Win a 14-night Hawaii Cruise! Win a 14-night Hawaii Cruise! ENTER SWEEPSTAKES HERE – Hershey’s Sweepstakes page. ENTRY LIMIT – Limit one (1) Play per name per person/e-mail address per day during the Game Period. SWEEPSTAKES ENTRY PERIOD – GAME BEGINS MARCH 16, 2018 AT 12:00:01 P.M. EASTERN DAYLIGHT TIME (“EDT”) AND ENDS JUNE 15, 2018 AT 11:59:59 P.M. EDT. consisting of a fourteen (14)-night Hawaii Cruise departing from Long Beach, California for winner and winner’s three (3) guests on Carnival Splendor®. Winner must select one (1) of the following sailing dates: October 13, 2018 – October 27, 2018; December 1, 2018 – December 15, 2018; January 12, 2019 – January 26, 2019; or April 27, 2019 – May 11, 2019. Hotel accommodations that may be required due to specific travel arrangements before and/or after sailing dates are solely winner’s responsibility. Grand Prize includes: One (1) quad-occupancy standard interior stateroom accommodations for winner and three (3) guests for fourteen (14) nights on the cruise ship and $500.00 spending money (payable to winner in the form of a check). If Grand Prize winner’s residence is not located within 250 miles of port city, round-trip coach air transportation (from major airport near winner’s home within the United States) and ground transportation to/from airport in California and the Long Beach port will be provided for the winner and his/her guests, at the sole discretion of the Sponsor. Winner and guests must travel on the same flight itinerary and comply with all security requirements. Winner and guests must have all necessary identification and/or travel documents (e.g. a valid U.S. driver’s license or passport) required for travel within the United States, within seven (7) days of travel. All minor guests (under age 18, 19 in AL and NE) on trip must be accompanied by minor’s parent or legal guardian who must be the winner or one of winner’s guests. Winner must accept prize as stated or prize may be forfeited inits entirety and may be awarded to an alternate winner. Actual value of trip prize depends on city, day, and time of departure. Approximate Retail Value (“ARV”) of Grand Prize is up to: $8,500.00. One hundred fifty (150) First Prizes. Each First Prize consists of a $100.00 Visa® Digital Prepaid e-code. ARV of each First Prize: $100.00. One hundred forty (140) Second Prizes. Each Second Prize consists of a $25.00 StubHub e-code. ARV of each Second Prize: $25.00. Two hundred eleven (211) Third Prizes. Each Third Prize consists of a $25.00 Uber e-code. ARV of each Third Prize: $25.00. One thousand five hundred (1,500) Fourth Prizes. Each Fourth Prize consists of a $20.00 Visa® Digital Prepaid e-code. ARV of each Fourth Prize: $20.00 each.